Soccer Goal Ceiling Light for Kids - This soccer theme ceiling light is the perfect finishing touch for any soccer fan's bedroom or sports room. Lighted soccer ball, metal mesh soccer nets, and a lined glass soccer field create a fun and unique fixture for soccer fans of all ages. 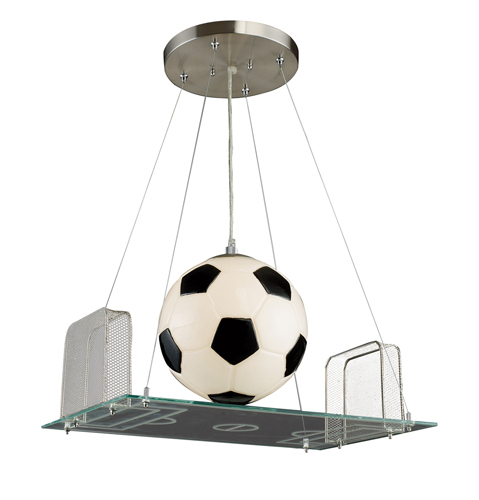 Soccer field ceiling light with glowing soccer ball takes one 60-watt medium bulb.